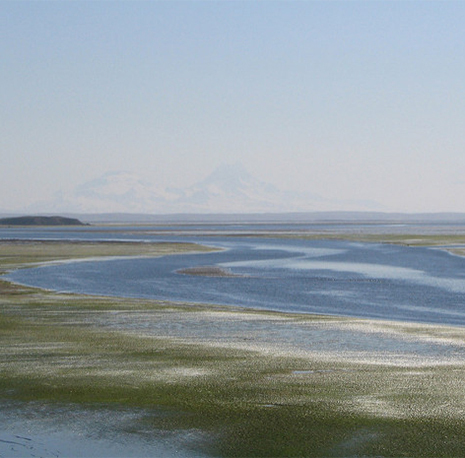 The lagoon area’s eelgrass feeds migrating birds and supports the entire ecosystem. Photo by Kirstine Sowl, USFWS. 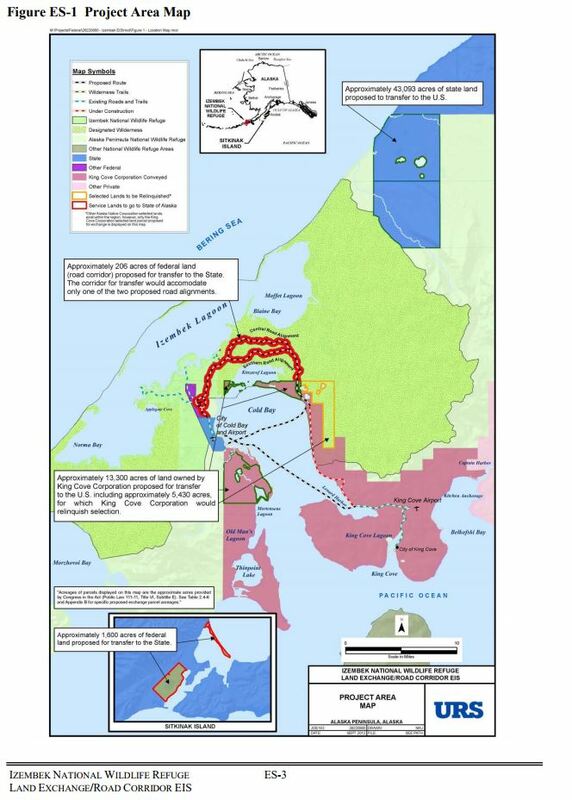 Trustees for Alaska filed a lawsuit in U.S. District Court today that claims that a land exchange between King Cove Corporation and the Department of the Interior violates the Alaska National Interest Lands Conservation Act. 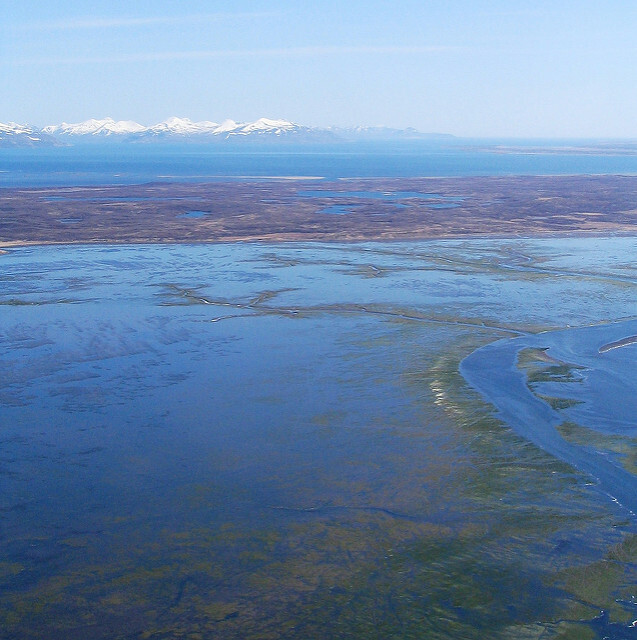 In other words, ANILCA prohibits Secretary Ryan Zinke from using its land exchange provision to gut Izembek National Wildlife Refuge and circumvent public process, environmental review, and congressional approval to build a road. Trustees filed the suit on behalf of nine clients. Read the full press release. USFWS map of proposed road area. Zinke crafted the land exchange deal behind closed doors, a pattern of non-transparent administrative actions by Interior and other agencies like the EPA. 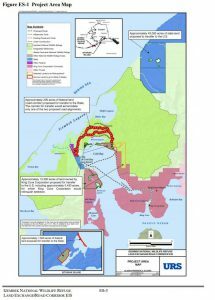 Those pushing for the land exchange claim that King Cove needs a road to Cold Bay for emergency medical access, yet conditions can make driving in Alaska dangerous and even impossible. Studies show that there are cheaper, safer, and more reliable ways to get people from King Cove to emergency medical care. Truth is, proponents of the road have touted commercial and transportation interests since the 1980s. When meeting with the President recently, Alaska Governor Bill Walker alluded to the road as important to the movement of goods and people. A huge Japanese seafood company operates a cannery in the area, along with businesses that support its operation. To give public land away to commercial interests goes against the very purpose of ANILCA and the Refuge System. Congress passed ANILCA to preserve natural landscapes, wildlife, unaltered ecosystems, and wilderness areas. 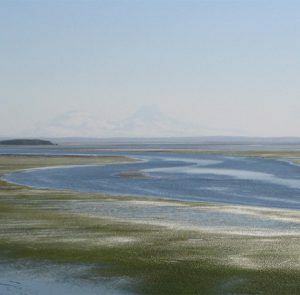 Zinke’s exchange agreement calls for giving away an irreplaceable corridor of land between lagoons on an isthmus that forms the heart of Izembek Refuge. No other land can replace it. The ecosystem and wildlife depend on it. 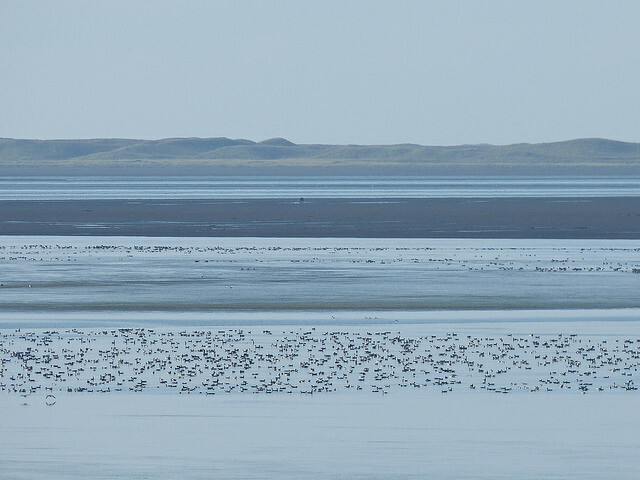 Unlawfully appropriating a vital part of a Refuge for a road would set a dangerous precedent. 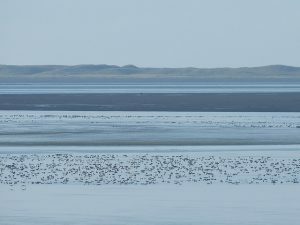 The Izembek isthmus makes up the heart of the refuge. Photo by Kristine Sowl, USFWS. Today’s lawsuit aims to uphold the very laws put in place to preserve public lands and wilderness areas. 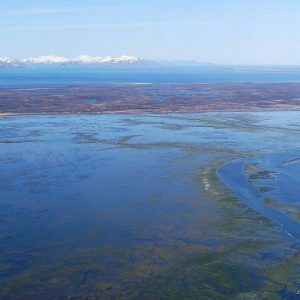 Parties to the lawsuit include Friends of Alaska National Wildlife Refuges; Alaska Wilderness League; National Audubon Society; the Center for Biological Diversity; Defenders of Wildlife; the National Wildlife Refuge Association; Sierra Club; The Wilderness Society; and Wilderness Watch.